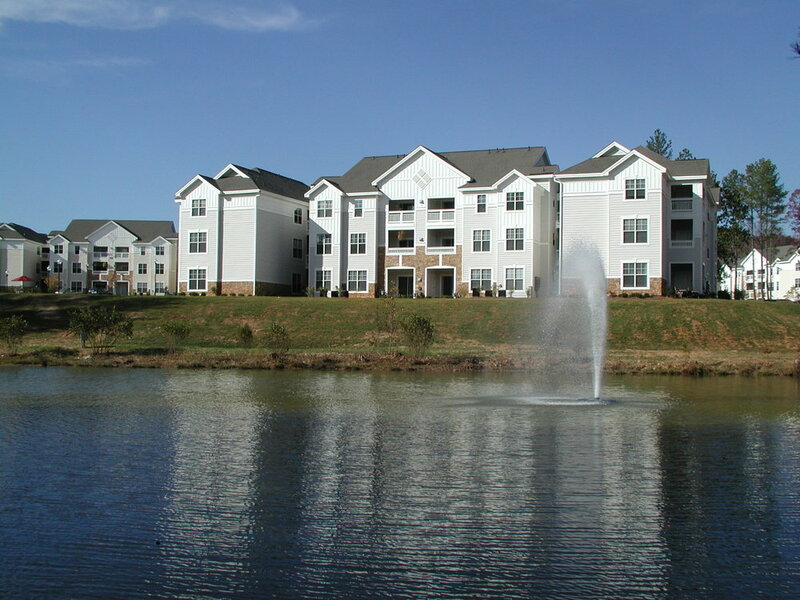 The Stratford apartments are located on Cary Parkway in Cary. A total of 247 apartments in 24 three-story buildings are situated on 20.5 acres at a density of 12 units per acre. Stratford offers one, two and three-bedroom floor plans that feature spiral staircases, cathedral ceilings and gas fireplaces. Constructed in 2001 as part of a 264-unit master community, The Links contains 192 Class “A” apartment homes and 72 individually owned condominiums. The Links community enjoys a 7,000-square foot clubhouse with a year-round indoor pool, a resort-style outdoor pool, a 12-station fitness center, a business center, a video and book library and a piano bar. Cedar Springs offers a mix of one and two-bedroom floor plans that feature large patios and balconies, abundant storage and cathedral ceilings. With a total of 180 apartments in 15 three-story buildings, Cedar Springs is situated on 13.5 acres at a density of 13 units per acre. The Cambridge apartments offer one and two-bedroom floor plans with a village atmosphere. Cambridge features a total of 180 apartments in 14 three-story buildings that are situated on 11.7 acres at a density of 14 units per acre. Each unit comes with 9-foot or cathedral ceilings, gas fireplaces, extra wide patios and ceiling fans. Four Seasons offers its residents the opportunity to relax in a “back to nature” setting while enjoying some of the most unique apartment floor plans in Raleigh. The 248 apartment homes at Four Seasons feature six distinct floor plans with custom interior wall paints, gourmet islands, step-saver kitchens, full washer/dryer utility rooms, separate dining rooms and gas fireplaces. Windemere apartments feature vaulted ceilings, palladian windows, fireplaces, patios and large sundecks. A total of 168 apartments in 14 three-story buildings are nested on 17 acres at a density of 10 units per acre.